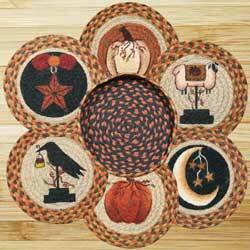 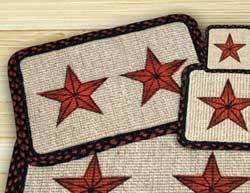 Barn star themed quilts, pillows, rugs, and kitchen linens such as kitchen towels, table runners, tablecloths, chair pads, and more! 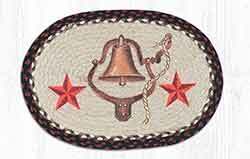 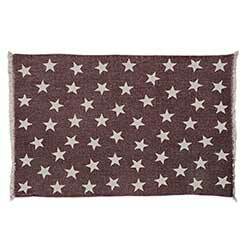 Features burgundy and tan microcheck cotton detailed with appliqued 5-point stars. 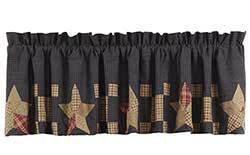 60 inches wide. 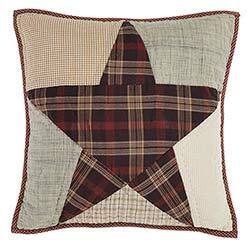 Features burgundy and tan microcheck cotton detailed with appliqued 5-point stars. 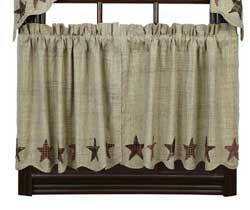 72 inches wide. 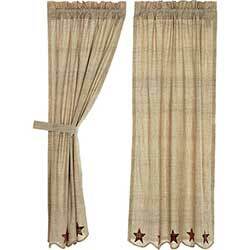 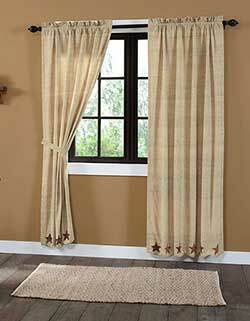 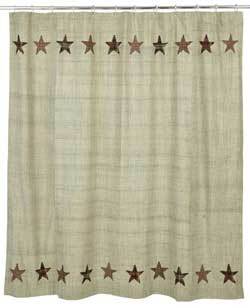 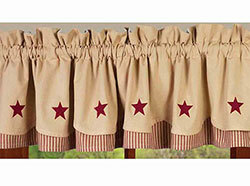 This long prairie curtain set beautifully showcases appliqued, primitive 5-point stars with frayed edges in burgundy, tan, and brown plaids and check. 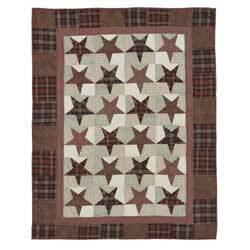 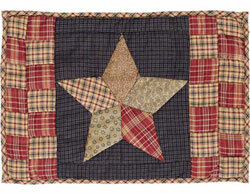 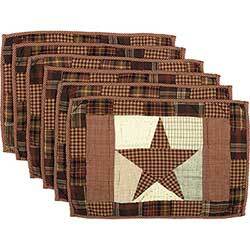 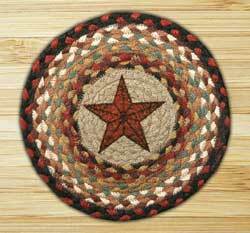 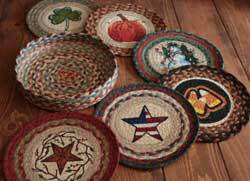 The Abilene Star Collection features patchwork stars alternating with various check and plaid stars in reds, light tans and browns. 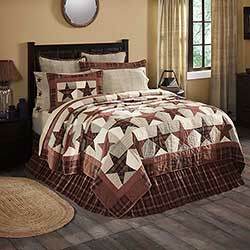 This is for the Quilt, available in the Twin, Queen, King, Luxury King, or California King Size. 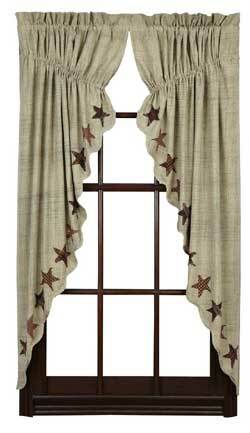 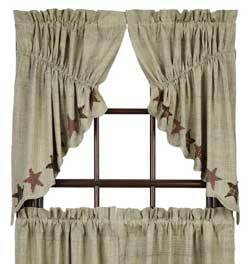 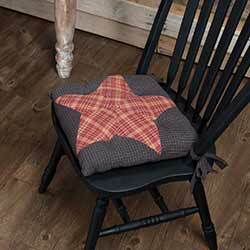 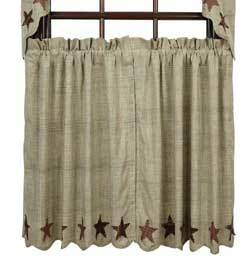 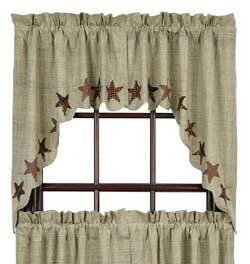 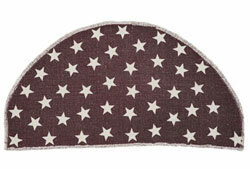 Features slub weave fabric combining creme and dark grey producing a flecked look, with appliqued 5-point stars. 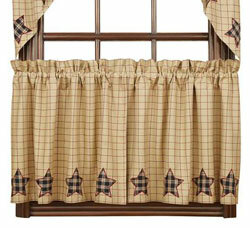 60 inches wide. 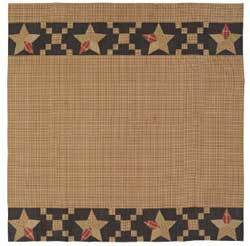 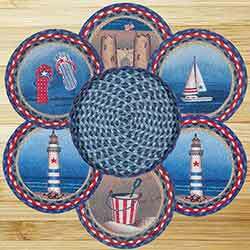 The Arlington Collection features homespun fabrics in a palette mainly of navy blue, burgundy, and tans, patchworked in a star pattern; main body of quilt is a small navy plaid. 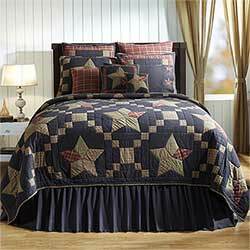 This is for the Quilt, available in the Twin, Queen, King, or Luxury King Size. 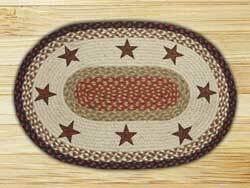 Arlington Block Border Valance, by Nancy's Nook. 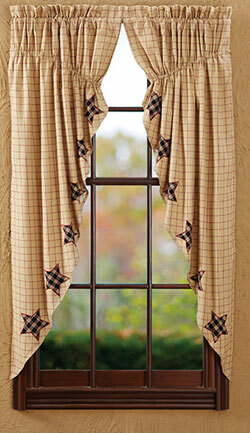 The Arlington Collection features homespun fabrics in a palette mainly of navy blue, burgundy, and tans. 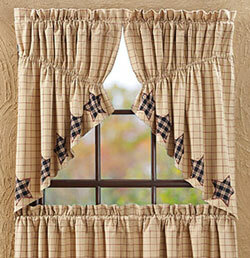 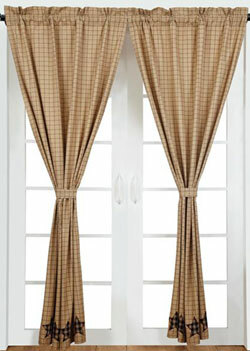 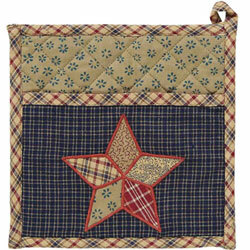 This is for the Valance, in the navy blue plaid with the patchwork border.